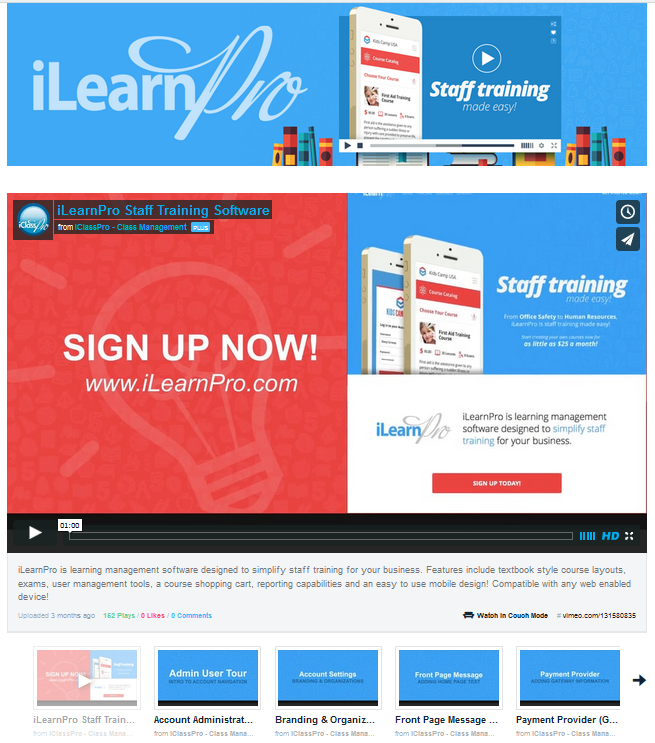 We have uploaded a list of video tutorials for users to get familiar with iLearnPro! These videos walk you through admin setup, organization manager capabiblities and regular user or course taking permissions! Some of these videos have also been incorporated into our support pages. View the full list on our Vimeo channel to get familiar with the software from top to bottomor in our Vimeo playlists for Account Administrators, Organization Mangers and Students/Users. On YouTube, try the following playlists: Account Administrators, Organization Managers and Students/Users.